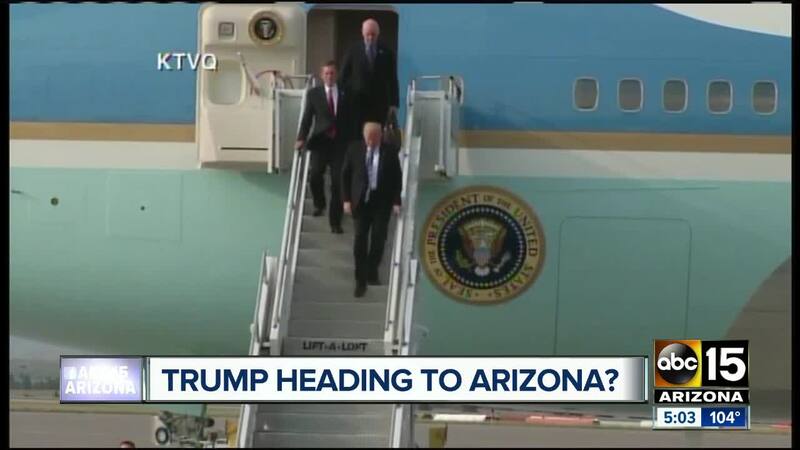 President Donald Trump is eyeing a possible visit to the Valley in a couple of weeks. “Our Sales Team received an inquiry from the Trump Campaign about booking space on 9/18-19 and we informed them that space is not available on those dates. At this time, we have not received any follow-up inquiries,” said Cynthia Weaver, spokesperson for the Phoenix Convention Center. 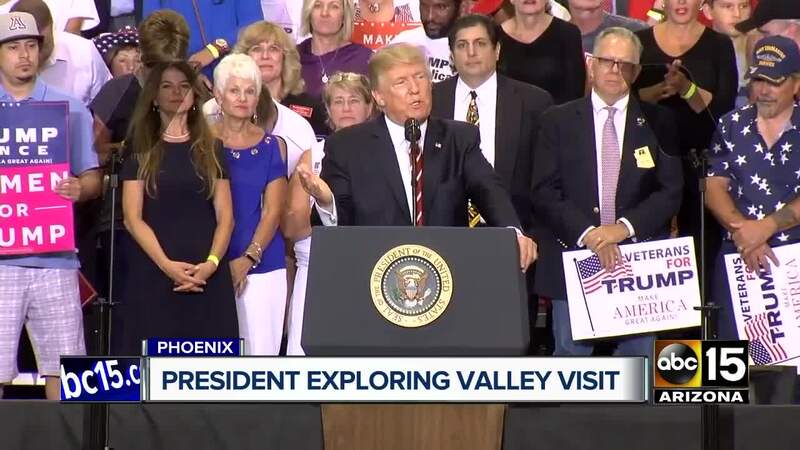 President Trump last visited the Valley in August 2017. The rally sparked a protest with thousands of people outside the Convention Center afterward. Police eventually resorted to using tear gas along with pepper balls to subdue the crowd. Phoenix Police Chief Jeri Williams said a small group of individuals made "a choice of criminal conduct" by throwing rocks, bottles, and gas at police officers before police escalated their response. Police say at least four people were arrested during the protest. Phoenix Fire said 56 people were treated for heat-related medical issues. ABC15 will continue to follow this story and release any additional information as it becomes available.